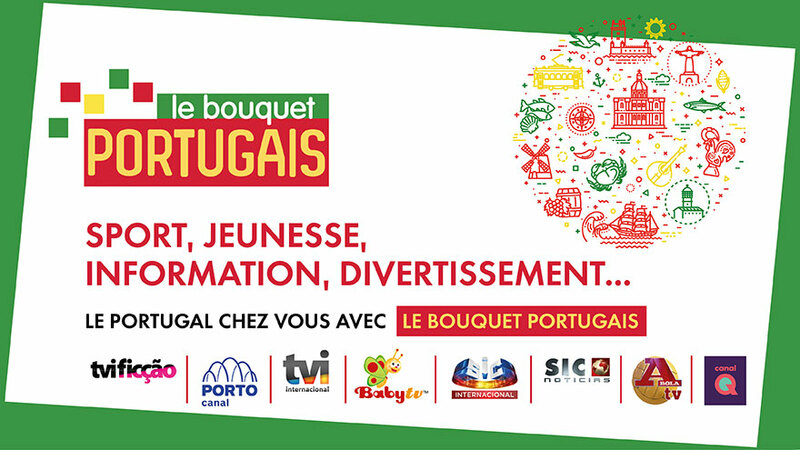 "Le Bouquet Portugais" is composed of eight premium channels offering the best of sport, entertainment, information and youth programs. It is available through 1 French IPTV operators: FREE. TVI International is a general interest channel broadcasting the best of series and entertainment programmes. SIC Internacional addresses Portuguese-speaking people worldwide. It broadcasts sports and musical programmes as well as entertainment and reality shows. Canal Q is the channel dedicated to Portuguese comedy and entertainment. Baby TV is the channel for small children and their parents. A Bola TV is the sports channel. It broadcasts Portuguese and international sports programmes and news. SIC Noticias is a 100% news channel in Portuguese. Porto Canal is the channel from Porto and the northern region. It mixes flash news, entertainment, cultural and sports programmes. It also broadcasts exclusive news about the Porto Football Club. TVI Ficçao is a fiction channel broadcasting series, films, and all sorts of fiction programmes. It also offers exclusive interviews and reports about celebrities.